arvato Systems Demonstrates How Hybris as a Service Cloud Platform (YaaS) Provides Real Value to Retailers | Arvato Systems | IT Strategy. Solutions. Innovation. 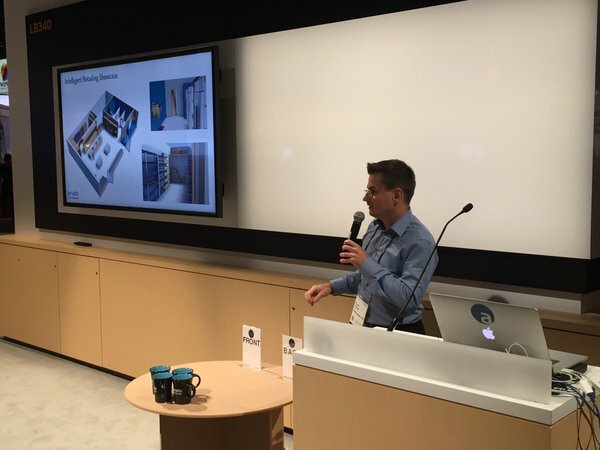 New York, NY, June 2, 2016	(Newswire.com) - ​​​The live demonstration showed how with the use of RFID tags on all products their location and movement can be tracked and how this information is accessible in real-time. This gives retailers inventory accuracy and visibility improving their ability to explore ways to engage and inform consumers online and in physical stores. For example, sales representatives on the floor of a retail store can easily locate the right size, shape, color, etc. of a product by using a phone or tablet. This eliminates long searches by the sales person or the consumer himself. Online the consumers have an accurate view of the inventory in the stores, which improves the customer satisfaction for example in ship-from-store and buy-online-pickup-in-store situations. This enables retailers to improve the omnichannel experience of the consumer. The arvato Inventory Service can also help to find misplaced items and to investigate lost items. Accurate inventory has direct impact on revenue. “Every 3% accuracy improvement of inventory drives 1% revenue increase” (Intel CEO, Brian Krzanich talking about Levi’s). With the arvato Inventory Service running on YaaS and powered by Impinj item intelligence, retailers can avoid out-of-stock situations and reduce safety stock levels meaning less markdown pricing. The API plays a central role in Hybris as a Service (part of SAP Hana cloud). Based on standards, this means every system that can communicate via basic web services technology can become part of the solution. “By taking data out of silos and into the YaaS cloud, retailers can get a single view of their entire inventory” stated Patrick Ruhkopf. He then displayed a list of inventory sources including SAP ECC, Hybris ECP and item data from retail stores and warehouses on the screen. The live demo also included a few products (coffee cups in this example) with RFID tags and used Impinj technology to read their location. This data was then sent to the arvato inventory service in the cloud which processed and displayed the information immediately. As new items became available, they were shown in the YaaS microservices demo store as in-stock for customers to purchase. Not only was this presentation informative for the many SAP and Hybris customers in attendance at SAP Sapphire, it was also well received by internal SAP and SAP hybris decision makers furthering arvato System's position as a YaaS pioneer and driving partner. The amount of attention proves this topic is of high interest for various groups and arvato received several requests for additional demos. There is a lot of excitement about this partnership with SAP in driving this topic and delivering even more exciting demos at future events.